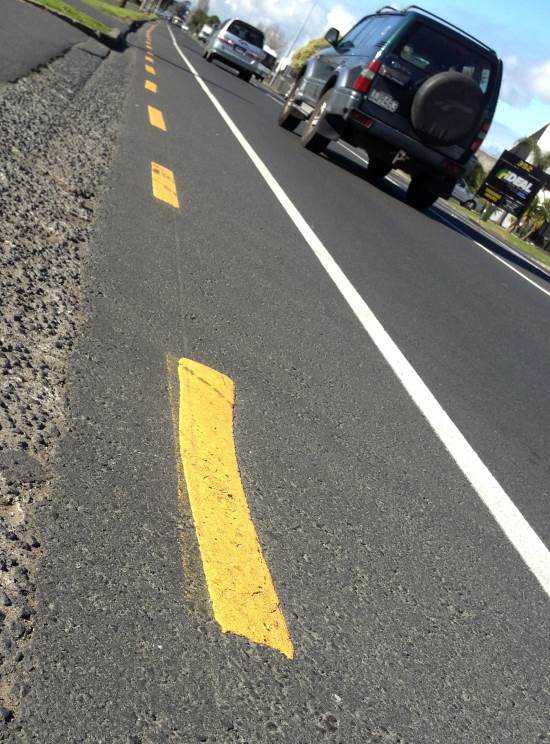 What does a broken yellow line painted on the road near the kerb mean? What is the meaning of a broken yellow line painted on the road near the kerb? 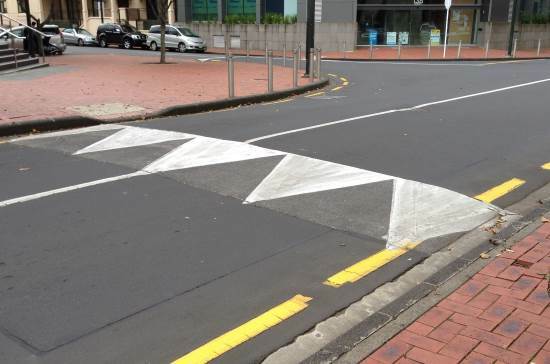 What is the meaning of a broken yellow line painted on the road near the kerb? What do broken yellow lines on the road mean? A broken yellow line means no stopping or parking. 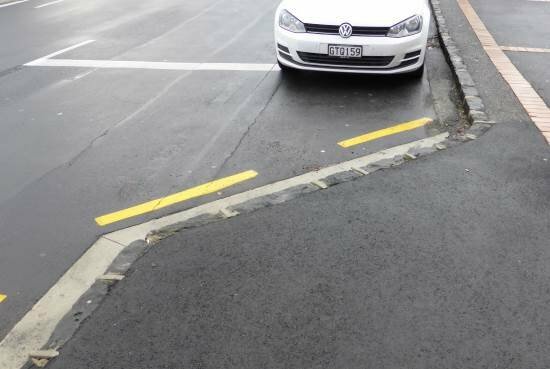 Broken yellow lines are placed in areas where parking would cause an obstruction or danger to other road users, and around bus stops, taxi stands, motorcycle parking and loading zones. The lines are 100mm wide and reflectorised. They have a 1m stripe then a 1m gap between them, but there are situations where the gap can be widened to up to 2m. The lines are sometimes placed around corners on intersections where the public may think that the curve is OK to park on. Yellow lines can often be found near busier intersections preventing people from parking too close. Yellow lines can be found on the approach to pedestrian crossings, or where parking ends and there's a choker or other road width restriction. Yellow no parking lines can be found on sections of busy single-lane arterial road like here on Rosebank Road in Avondale's industrial area where many large trucks use the road. A white line is painted in slightly to give room for cyclists who don't (as yet) have a dedicated cycle lane.